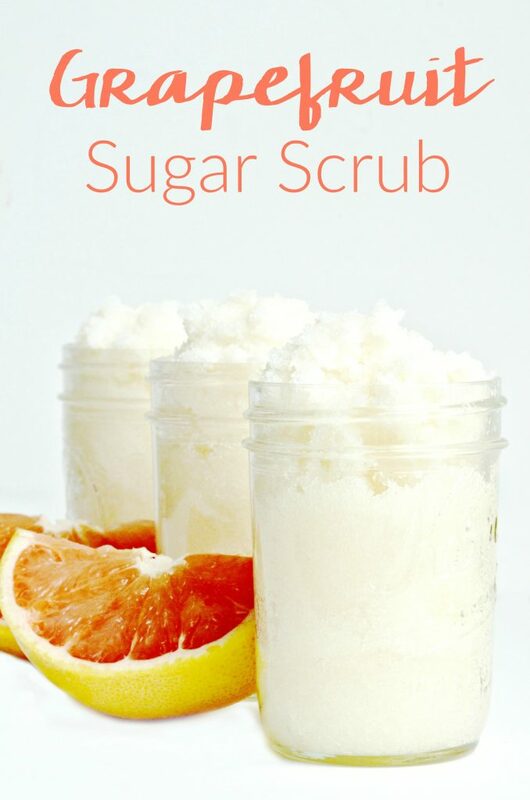 This Homemade Grapefruit Sugar Scrub recipe is super easy to make and will get your entire body smooth! 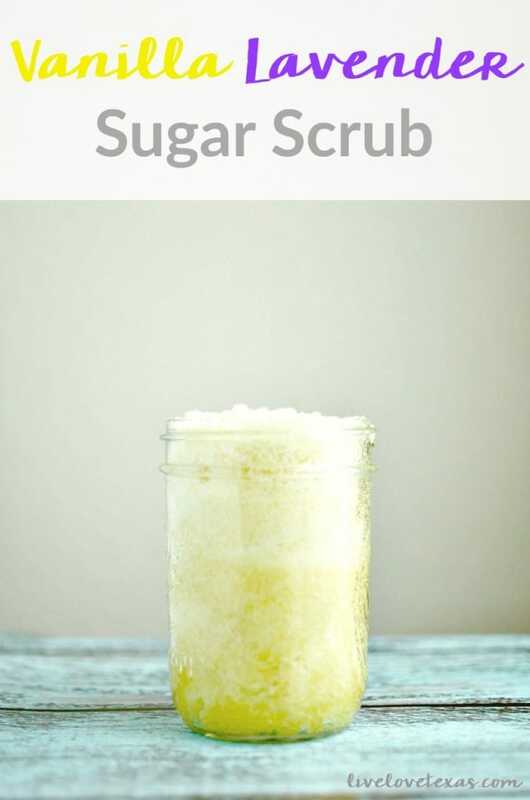 Four simple ingredients combine to make a citrus filled sugar scrub. Living in the South, citrus fruit abounds! Fresh, juicy, beautiful grapefruits can be enjoyed almost any time of year. But in spring time, 10 pounds bags start to go on sale and for around $5 you can get all the grapefruit you can eat! After I’ve exhausted my appetite for grapefruit in salad, infused water, fresh squeezed juice, or just a quick snack I find that I still have at least a few grapefruits leftover. 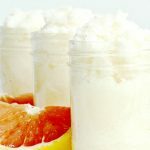 Not one to let it go to waste and knowing what an amazing scent it adds to homemade beauty recipes, I decided to whip up a batch of this Homemade Grapefruit Sugar Scrub Recipe. Add grapefruit juice and oil and stir. 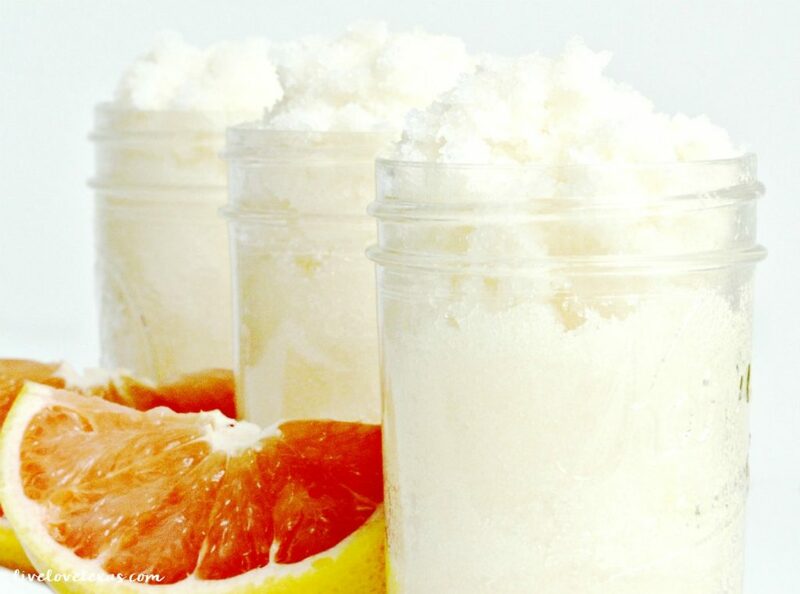 If you make this homemade grapefruit sugar scrub recipe, I’d love to know what you think! Let’s continue the conversation on Facebook! 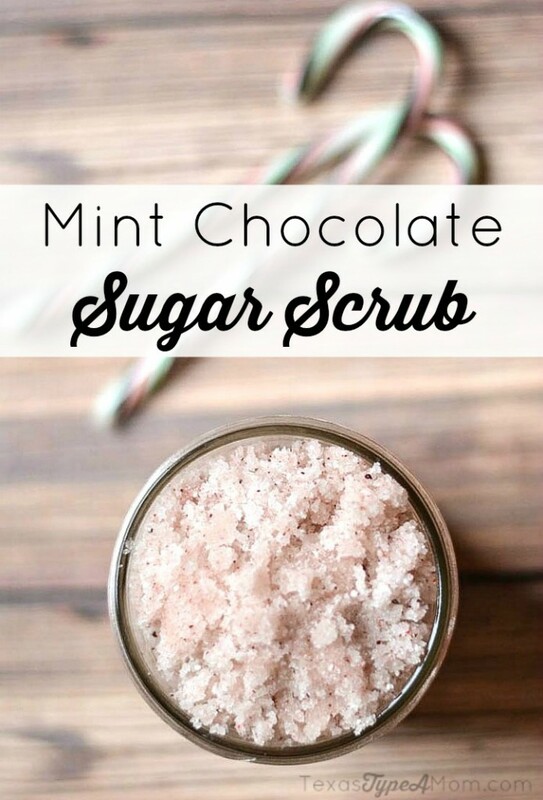 If you’re looking for more easy sugar scrubs you can make at home, check out the recipes below for a 3 Ingredient Peppermint Sugar Scrub, Vanilla Lavender Sugar Scrub, and Mint Chocolate Sugar Scrub. 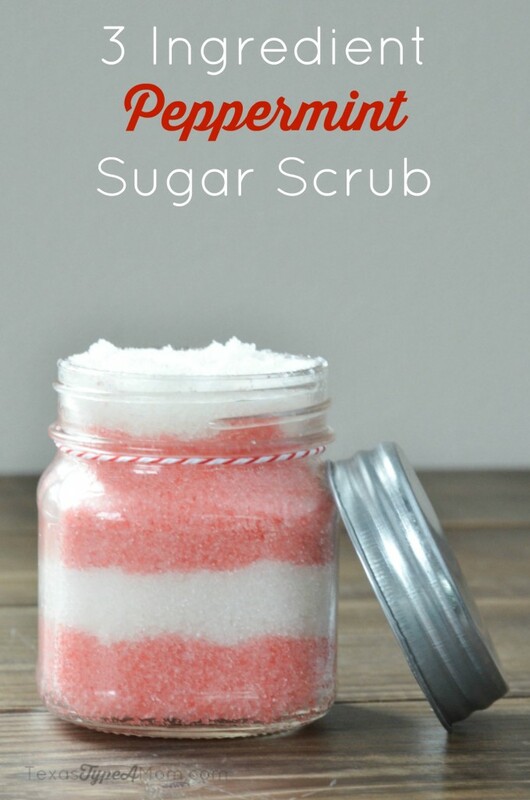 If buying sugar scrub is more your thing, check out the Simple Sugars line.